Carefully crafting the words “Semper Fortis” into a custom challenge coin for the United States Navy often sends chills down our spine. The thought of creating custom coins for the brave members of our Navy is something that our team takes great pride in doing. Plus, having military veterans on our team means that we actually understand the true meaning behind the challenge coin, which helps us to create a masterpiece in each of our custom challenge coins. 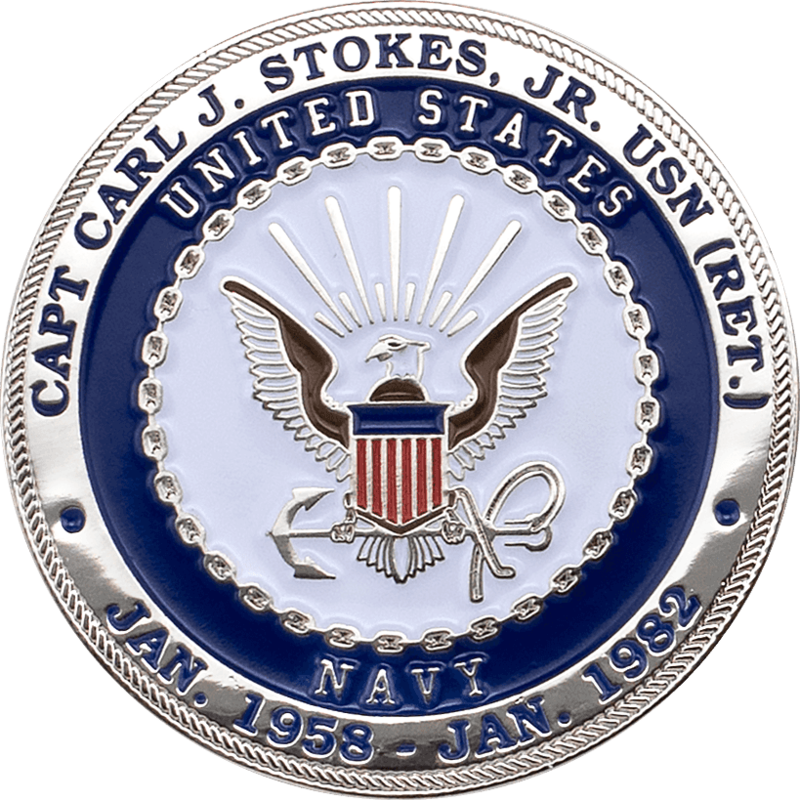 For over 15 years, Signature Coins has worked with the U.S. Navy to bring them high-quality custom military challenge coins. These challenge coins can be created in a variety of shapes, sizes, and colors to fit the needs of each specific unit. With our streamlined challenge coin process, we are able to create your coin, then have it sent to your location anywhere in the world with priority air shipping. 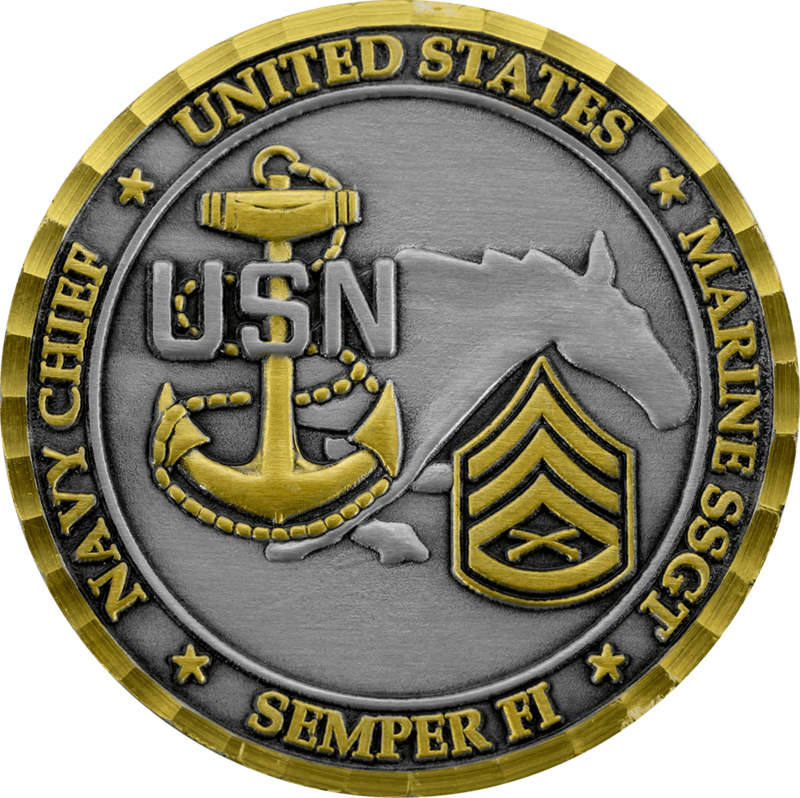 For over 15 years, Signature Coins has worked with the U.S. Navy to bring them high quality custom military challenge coins. 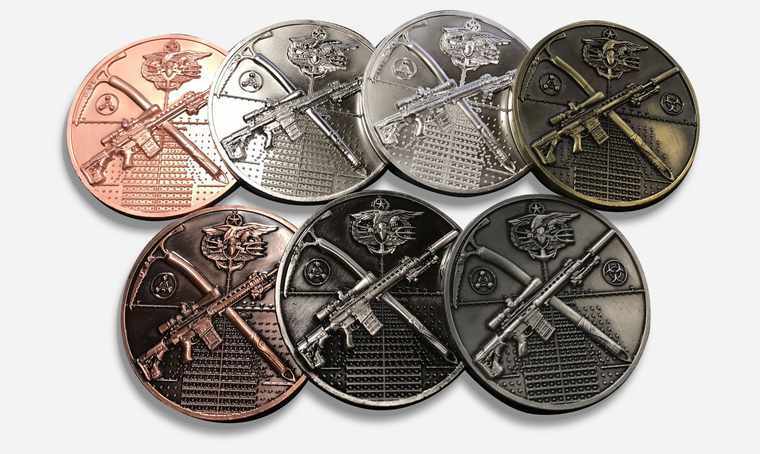 These challenge coins can be created in a variety of shapes, sizes, and colors to fit the needs of each specific unit. 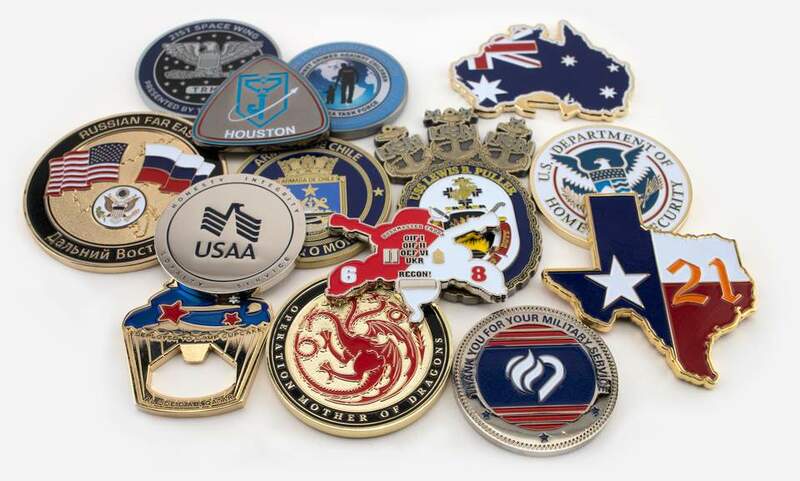 With our streamlined challenge coin process, we are able to create your coin, then have it sent to your location anywhere in the world in 14 days or less, with free priority air shipping. 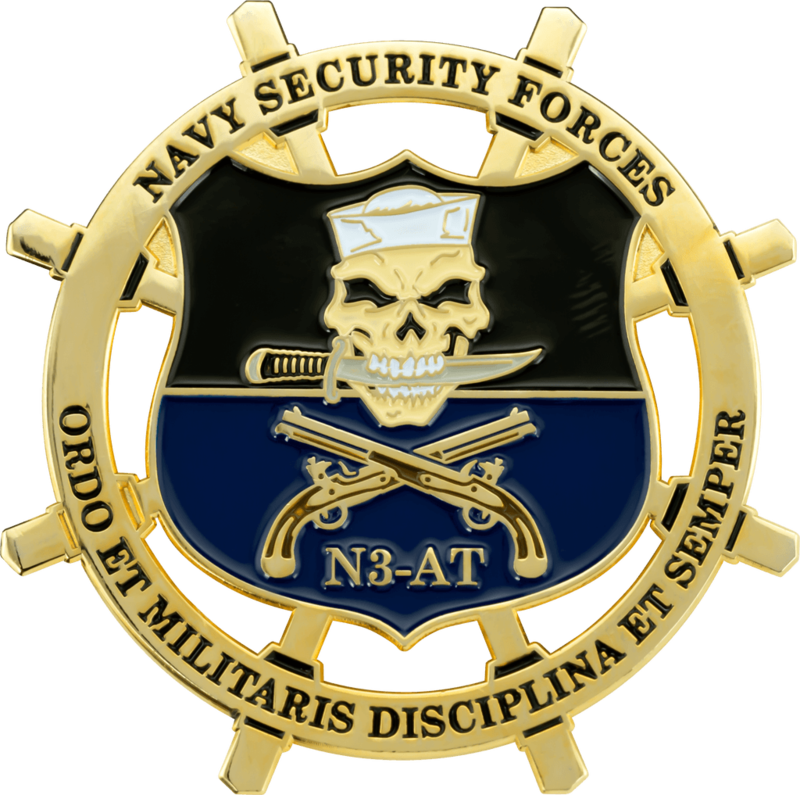 What Are Navy Challenge Coins? 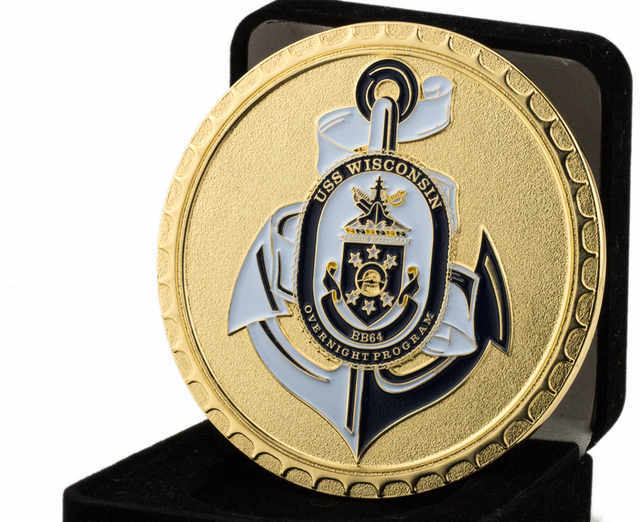 Navy challenge coins enforce solidarity and hold members of the Navy to certain standards. When a member of the Navy is challenged to produce their coin, they must do so immediately. Failing to produce a coin will result in buying a round of drinks, or performing another service for everyone that has a Navy or military challenge coin. 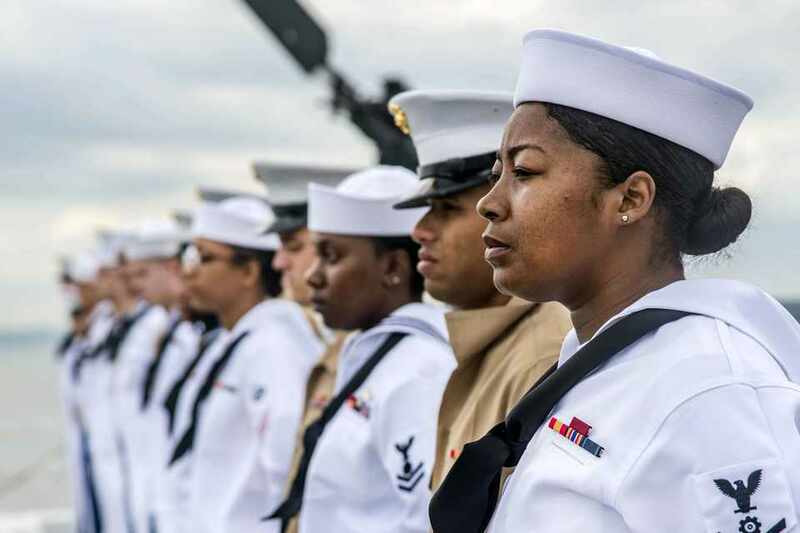 According to the United States Navy website, there are currently 637,368 people working with the Navy including; Ready Reserve, Reserves Currently Mobilized, Navy Department Civilian Employees, and included in the number above, 325,673 Active Duty personnel. A large portion of this Navy personnel come to Signature Coins to create their custom challenge coins. For this reason, we offer coin sizes ranging from 1” to 3” in any color of your choice. 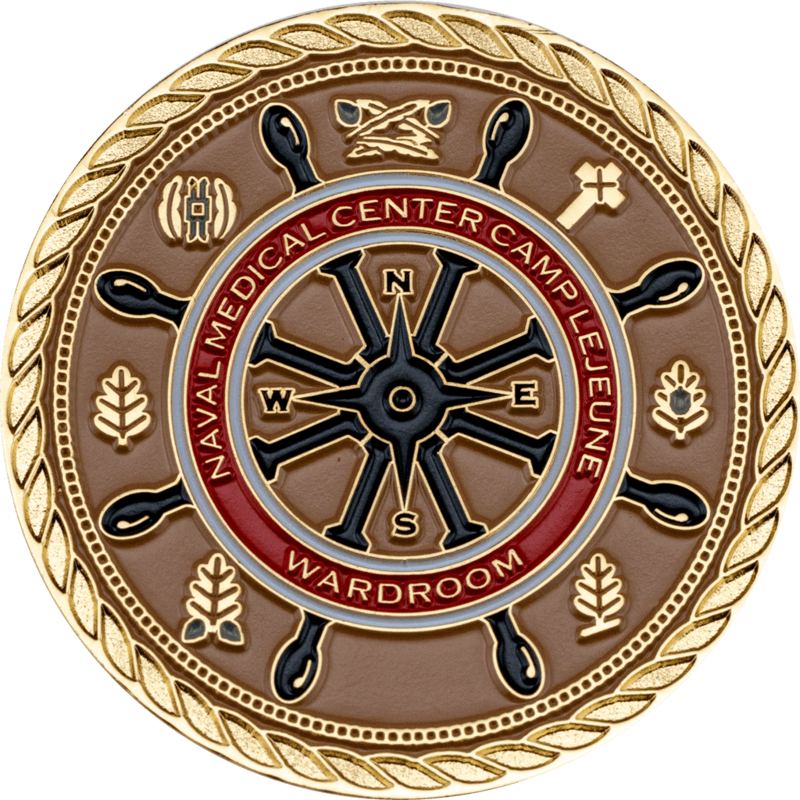 Select from a variety of edging options to enhance the look of your challenge coin. From our rope edge, cross cut edge, oblique line edge, and flatweave edge, to spur edge, and flat edge. Add edge numbering to make your coin really stand out. Of course, we leave the final coin approval completely up to our customers with unlimited artwork revisions, so anchors aweigh. We also provide a Free PVC pouch with all orders to assure your coin will be safe from the elements. If you are interested in our premium presentation options, we also offer velvet cases, coin capsules, acrylic cases, velvet pouches, and stands. As we do create custom challenge coins, we are able to create coins for any occasion, other than those listed above. Simply contact us now, and we will have your first challenge coin draft completed within 24 hours. 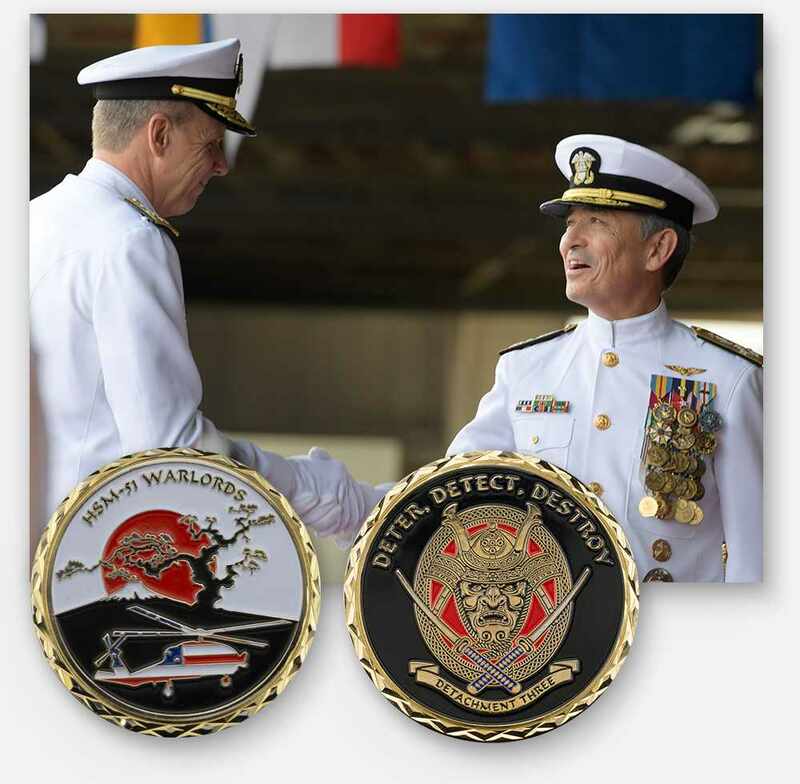 Signature Coins has been making challenge coins for the Navy for more than 15 years. 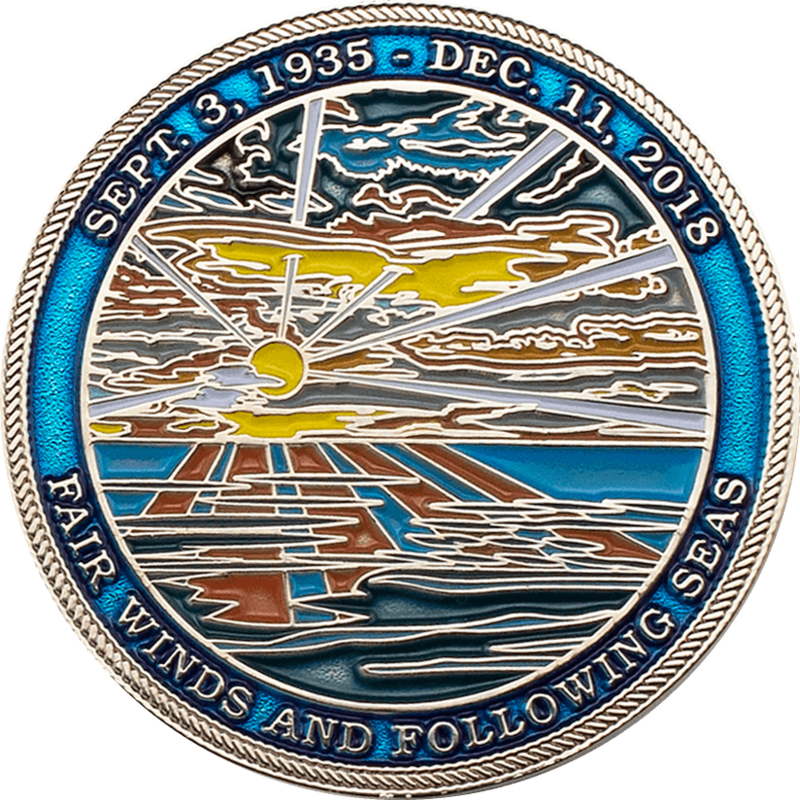 If you're looking to create a new design or if you would prefer to recreate a previous challenge coin design, our artists will work with you to craft amazing coins you and your unit can be proud of. We have a full staff design department and they can create your design from any information you provide to us, even a stick figure on a napkin. 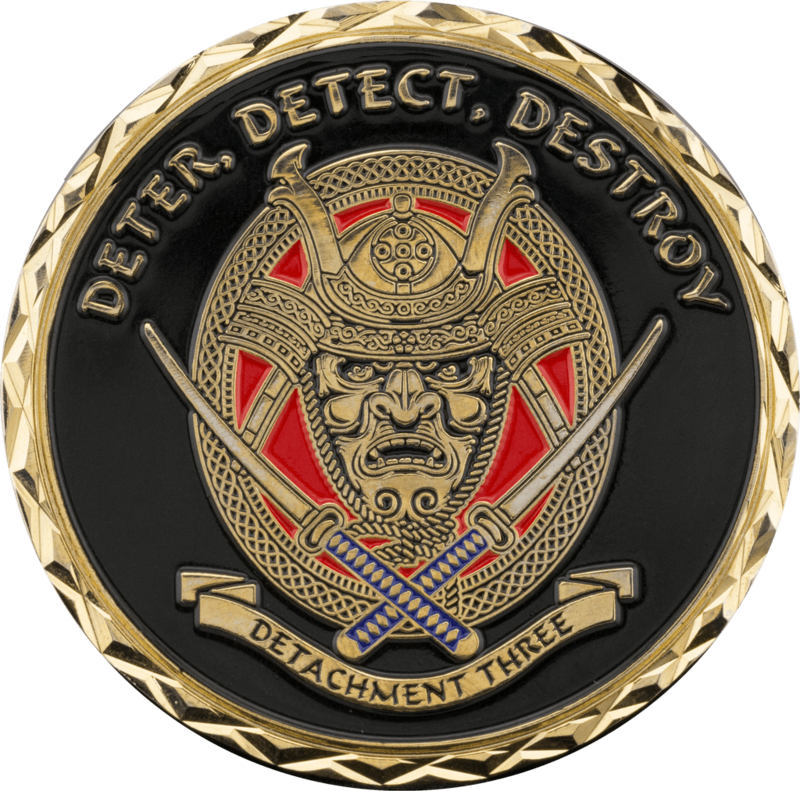 All of our challenge coins are manufactured in the fastest possible time frame of 14 days or less, and we ship all orders UPS International Red Label at no charge direct to you. 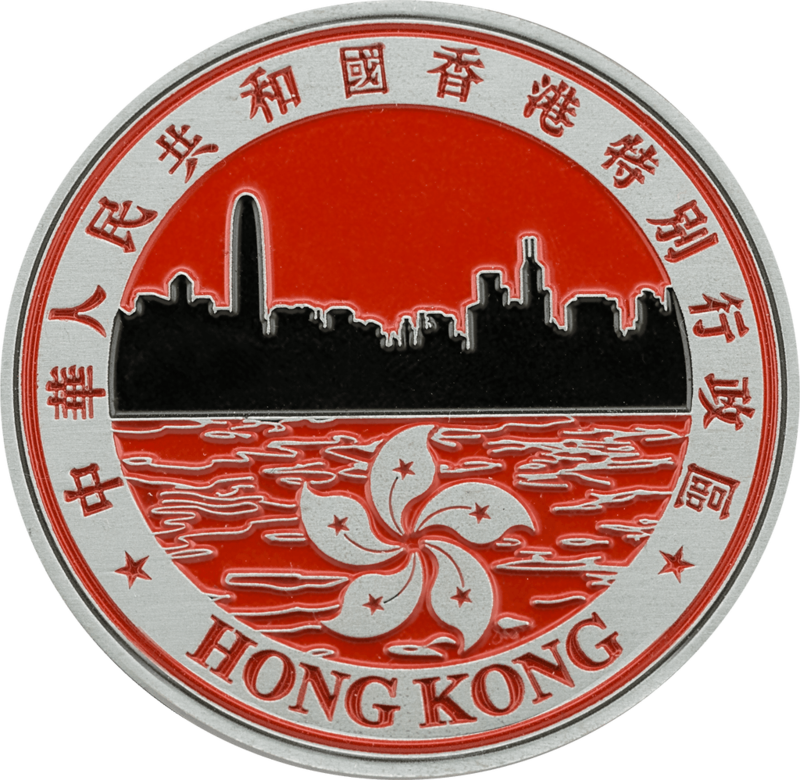 At Signature Coins we back each and every product that we manufacture with our 100% Quality Guarantee. We will replace (at no additional charge to you) any defective custom product. Since World War 1, challenge coins were officially used as a way to honor, encourage, and reward men and women of the military for their accomplishments. 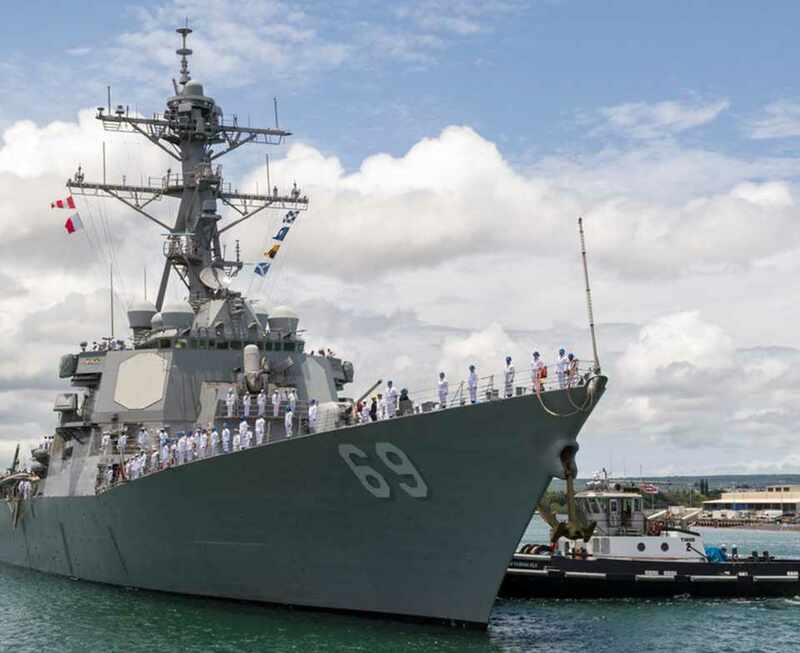 At Signature Coins, we greatly appreciate the opportunity to help members of the Navy, and military, to carry on this strong tradition. 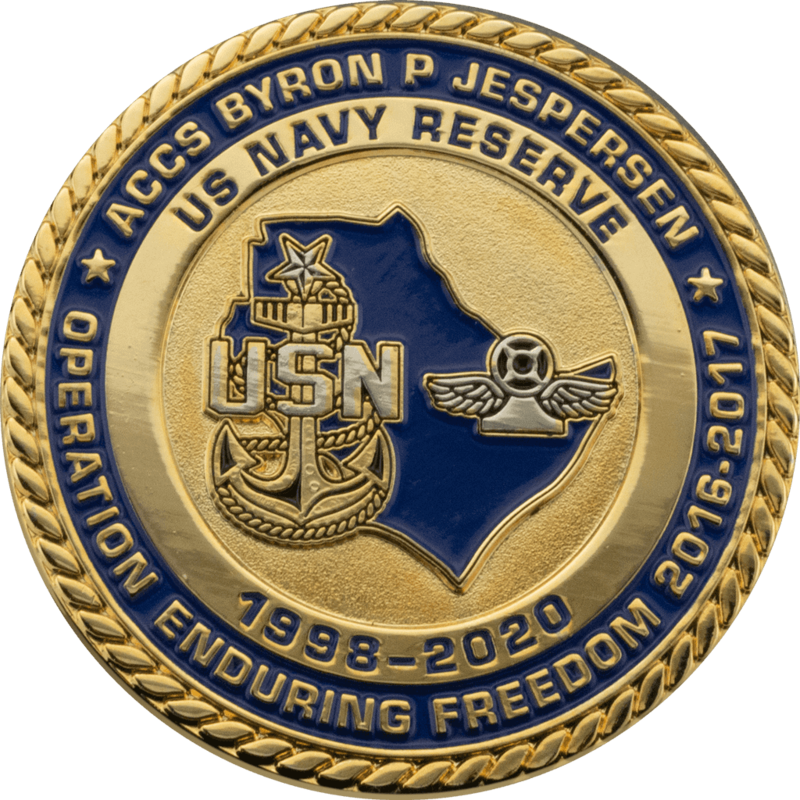 If you are searching for a custom Navy challenge coin company that is able to create high quality challenge coins with a quick turnaround time, Signature Coins is reporting for service. 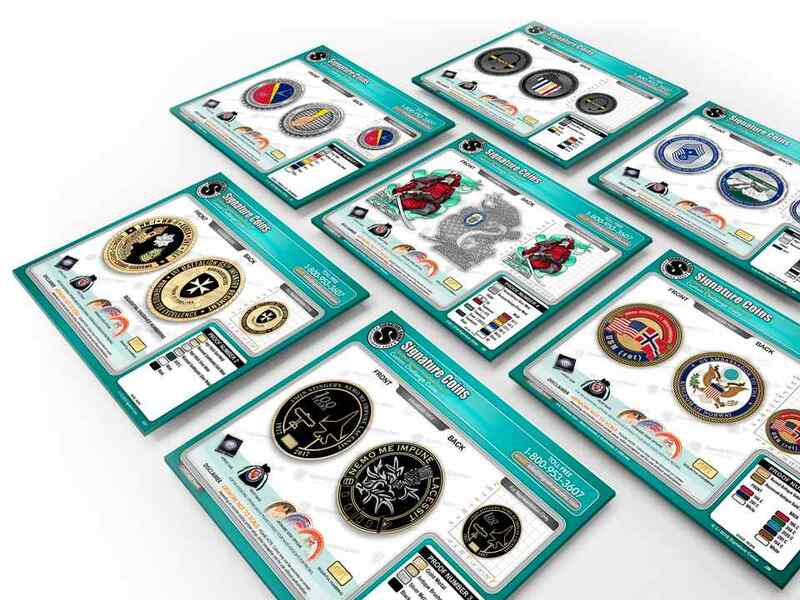 Featuring fine detailing, state of the art customer service tools, and representatives, we are eagerly waiting to get started on your challenge coins today. 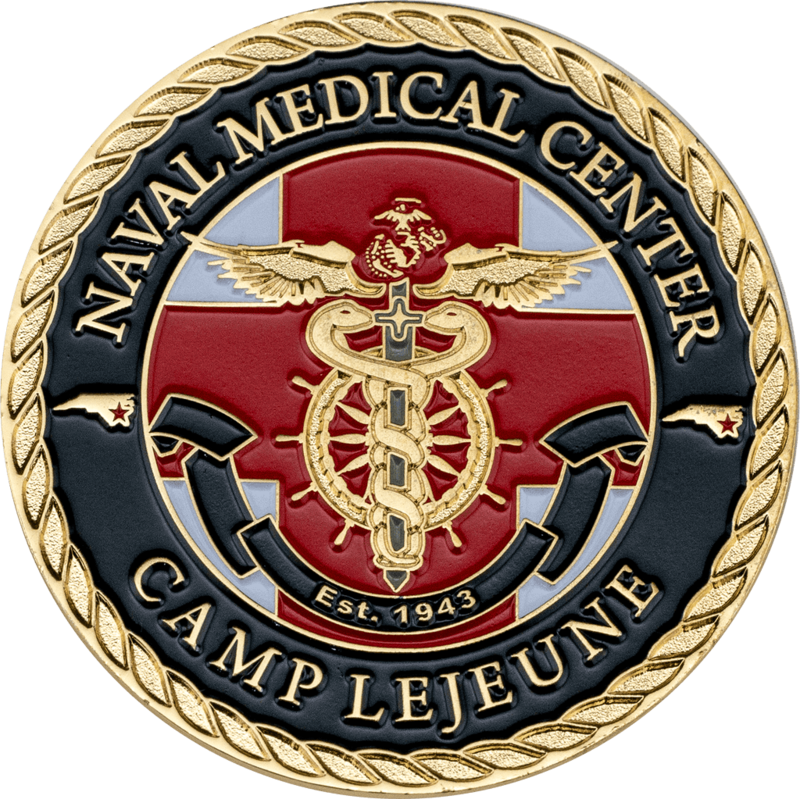 Get your Navy challenge coins from Signature Coins, and don't leave your sleeping quarters without it! Simply, send us your ideas today though email, a phone call, or by submitting any form found on this page, or throughout our website - Its that easy! 5 stars, based on 1487 reviews.